The county is in the process of formulating its Fiscal Year 2017 budget, and RA President Ellen Graves says that repair costs to the sewer line — owned by the county but exposed and presenting an environmental danger to Reston residents — need to be included. The problem has been exacerbated, RA says, by runoff from FCPS’ South Lakes High School and Langston Hughes Middle School, which sit uphill from the erosion site behind Wakerobin Lane and Cedar Cove Cluster. “This is a unique situation, which warrants a quick response from the County, the Wastewater Management System, Fairfax County Public Schools, and Reston Association,” Graves wrote in a recent letter to Bulova, Hunter Mill Supervisor Cathy Hudgins and other county officials. A presentation at the January RA Board meeting showed that erosion has contributed to the exposure of eight sewer lines in the hillside leading from South Lakes Drive to Lake Audubon. RA’s land use attorney John McBride called the situation “a health hazard waiting to happen,”and compared the issue to recent events in Flint, Mich., where a money-saving effort to change the water supply resulted in dangerous lead contamination. 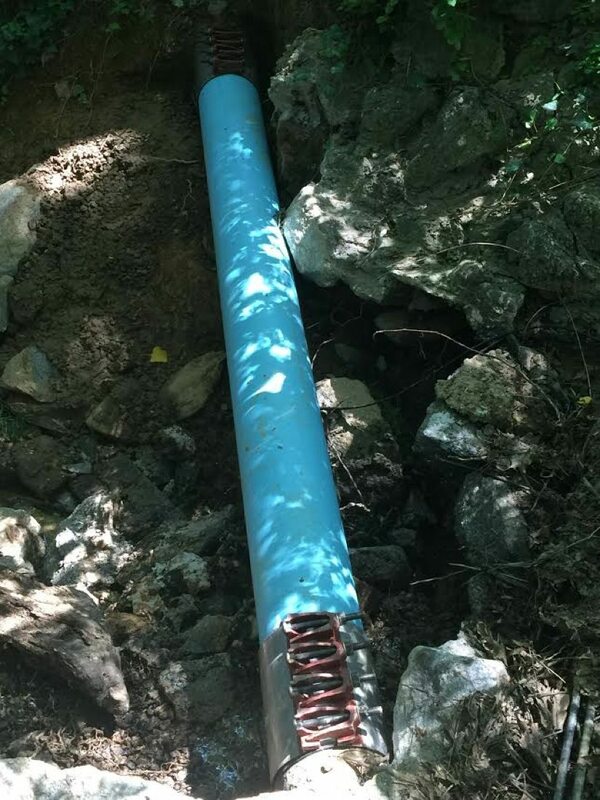 The exposure of the pipes earned emergency notice last summer, when one began leaking sewage downhill into Lake Audubon. The pipe was fixed enough to quell the spill, but Graves says that was just a temporary stop. Repairs to the outfall channel are estimated to be about $1 million, RA officials estimated at the January meeting. Adding concern is a planned 40,000-square-foot addition for South Lakes High School. Fairfax County Public School officials said the addition does not have to follow updated environmental rules and is grandfathered in under older ones. The board also authorized allocating up to $20,000 from its operating reserves fund to conduct an independent audit of the waterflow and mitigation measures and to use the results to research the validity of FCPS’ waiver of stormwater management/ best management practices.